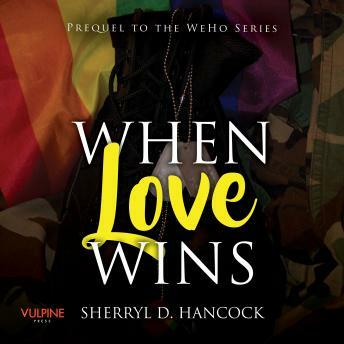 Listen to "When Love Wins" on your iOS and Android device. Best friends Shenin and Tyler didn't mean to fall in love. Though, does anyone? A friendship-turned love affair is hard enough to navigate through; throw in IEDs and gun battles, along with the separation that inevitably comes with life in the military and you're asking for trouble. This is uncharted territory for both of them; Tyler has been openly gay for years, whilst Shenin has always dated men. With the government's Don't Ask, Don't Tell policy, it's a path that could endanger both of their careers but realising they cannot live without each other, they take it all on to prove that love really can win.